Before I was a blogger, I was (still kind of am) a freelance writer. Before I was a freelance writer, I did a little transcription work. Specifically, I was a legal transcriptionist. But I didn’t set out to become a legal typist. In fact, I kinda fell into it. “How?” you ask. Well, after my son was born, I had to find a job that (1) paid well, (2) allowed me to stay home to take care of him, and (3) let me set my own schedule. Sounds too good to be true, right? As it turns out, it wasn’t. So, what what was this oh-so flexible, bill-paying gig that allowed me to work and take care of a screaming newborn 24/7? Legal transcription. I did not have any professional transcription experience. But while browsing job openings on Indeed and Craigslist, I kept coming across several ads for legal transcriptionist jobs. As a former paralegal, my interest was piqued. For starters, the rate of pay was actually livable. And to top it off, I could set my own schedule as long as I got my work turned in on time. While I never envisioned myself as a work-from-home typist, I was eager to land work as one. So, that’s exactly what I set off to do. But first things first, I needed to understand what it means to be a legal transcriptionist and whether it was right for me before jumping in as a beginner. What Exactly is Legal Transcription and What Will I Do? In its simplest form, transcription is the process of listening to recorded audio and typing out what is being said into a document. In the legal world, this provides a hard copy of conversations, interviews, depositions, and file notes that can be much more easily referenced versus its audio counterpart. After I finished a file, it was my job to go back through the audio and transcript one more time to check for accuracy. 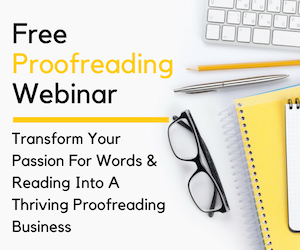 I always had to proofread and edit transcripts before turning them in — you will likely have to do this too! But don’t worry. Thanks to the transcription software you’ll use, you can easily speed up audio so you can finish this step at a much faster rate than what it took you to type it. 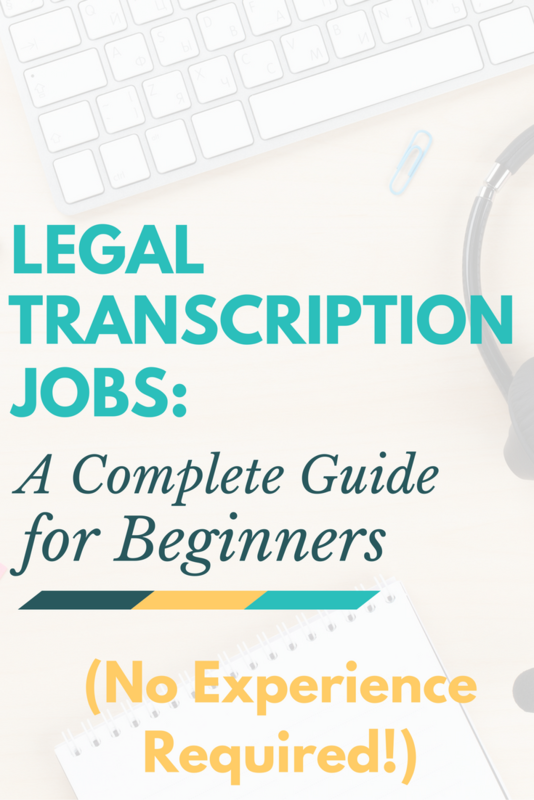 Speaking of transcription software, you will need a few things to get started as a legal transcriptionist. I ended up contracting with a few different companies during my run as a legal typist. Each one had different requirements for how things were done. But for the most part, there was a core group of programs and equipment needed to work. A foot pedal will help you control audio playback with your foot. You can stop, play, pause, fast forward and go back with the tap of your toe. This frees up your fingers to type and will help increase your speed and accuracy (which means you make more money!). You will likely be assigned audio files in a certain format like WAV or mP3. You’ll need special software that is compatible with your foot pedal so you can play files and transcribe them. The industry standard software is called Express Scribe. And there is a free version that works great! The problem is, the freebie version is compatible with only one type of foot pedal. The paid for or premium version works with about a dozen different foot pedals, giving you a lot of options. I’m not gonna lie — when I first started as a legal transcriptionist, I bought the cheapest headset I could find. I figured, as long as I could hear the audio, there was no difference between a $10 model and a $30 one, right? Wrong! I regretted this purchase about ten minutes into my first file. The audio sounded like it was playing in a tin can. The set itself was uncomfortable, leaving my ears sore after one use. Lesson learned — a quality headset can make all the difference in how well you hear audio and your comfort level while you type. After you download an audio file, load it into Express Scribe and fire up your foot pedal, it’s time to start typing! To do this, you’re gonna need a word processing program. Every company I contracted with insisted I used Word. However, I have seen other companies that are open to any number of word processing programs, as long as you can save your work in a specific format, i.e., .doc or .docx. Microsoft Word isn’t exactly cheap. So, if you don’t already have it, I wouldn’t rush out and buy it as you hunt for legal transcription jobs. Wait. You may be able to use a free version like Open Office to get the job done! Now that you know what you’ll need to get started, you’re probably pretty eager to start looking for jobs. As it turns out, there are several companies that readily hire legal typists. The best part? You don’t necessarily need any experience to get started. In addition to legal transcription jobs, they also have opportunities to tackle files dealing with corporate, financial, and insurance matters. The rate of pay varies. For legal typing positions, you’ll earn anywhere from $0.75 to $1.75 per page. Your schedule is entirely up to you — work as much or little as you’d like. Typically, work is available Monday through Friday with turnaround times averaging 2-3 days. You can learn more about Birch Creek Communication’s hiring process on their careers page. If you type over 60 words per minute and need to work from home, you may be what we’re looking for in a legal transcriber. No transcription experience necessary, but you must be willing and able to work on overnight delivery. Timeliness is a must, as are excellent English language skills. Please apply only if you can transcribe at least 5 hours of audio per week. If you consider yourself a grammar buff and have the dedication needed to meet tight deadlines, you can find success at Neal R. Gross — even if you’ve never typed professionally a day in your life. Learn more about their legal transcriptionist jobs and, whether or not you’ve got what it takes, directly on their employment page. Built by transcriptionists for transcriptionists, Transcription for Everyone prides itself on offering legitimate home-based position for typists, including those interested in legal work. We also work with total beginners and provide on-the-job training. The more experienced you get, the faster you’ll be able to work and the higher the salary you will earn. As another perk, they only promote from within So, while everyone starts out as a typist, there’s the potential to move up as an editor or manager. Head on over to their employment information page to learn more about the legal transcription jobs available. Note: Transcription for Everyone does have their own training course available. You do not have to pay for this to be considered for employment! I can’t say how often the above mentioned companies are adding typists to their teams. If you’re really ready to get started as a legal typist, it’s a good idea to expand your job search. Indeed is a good place to start. As a job search engine, Indeed finds and lists job leads from all kinds of employer sites and other niche job boards, housed conveniently in one locale. You can even create a custom job alert. This will let you know whenever new legal transcription jobs have been posted, without having to search the site all day every day — major time-saver. Craigslist can also be a source of legitimate legal transcription jobs. I should know — it’s the very place I landed my first gig all those years ago! Check your local market for postings as well as the major ones (Los Angeles, New York, Austin, Atlanta, etc.) Often, you can find legal transcription jobs posted for home-based workers in your area as well as remote positions available nationwide. As always, be wary of scams. Do a little research on the company posting the job lead. And be extra cautious if someone is asking you to pay money upfront for training, equipment or fees. While you will need some equipment to become a legal transcriptionist, you’ll pay for those items yourself, not to the company directly! And don’t forget to browse forums! I often come across super helpful leads posted by other job seekers, current typists, and companies directly on forum posts. Probably the most active for transcriptionists is the Transcription Services and Scopists forum over at WAHM. It also happens to be a great place to learn more about becoming a home-based typist and a valuable source of practical advice from current/former/prospective legal transcriptionists. I get it. Legal transcription is not for everyone. If you’re not a fast and accurate typist, you’ll likely struggle to keep up. If grammar isn’t your strong suit, you may find the nature of work challenging. You’ll also log many hours in front of your computer staring at your screen — straining on the eyes, hands and wrist. But if you like a challenge, generally enjoy the subject of law, and consider yourself to be a fast-typing grammar buff, this might for you! The best way to find out? Learn more about legal transcription jobs and whether or not it’s a good fit for you. Head over to Transcribe Anywhere. 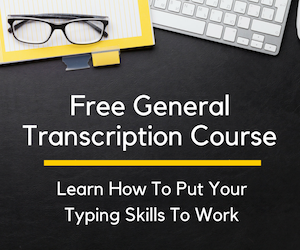 There, you can access a free legal transcription mini course. By the end of the four-day mini course, you’ll know a lot more about the industry and whether or not you should pursue legal transcription as a career. This post contains affiliate links. I only recommend products, brands, and services that I trust and know you’ll love. 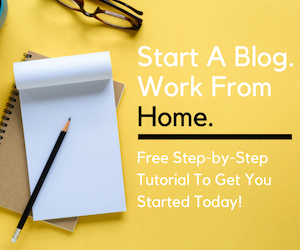 You can learn more about my use of affiliate links on Work from Home Happiness here. Thanks for the list of resources! You know I’m passing this along. Have a great week! I’ve always wondered what it takes to do legal transcriptions. I didn’t realize that there was so much! It makes sense that they have professionals do it, because you need to be able to type fast and comprehend well! It`s really a complete guide for people to find legal transcription jobs, however, not everyone can do the transcription jobs since they have to own some special skills and be practiced as well. Want to know, and help working from home. My typing is not 60 wpm but is not slow by any means. I do better if I’m not in competition. I do need the foot peddle, just looking to supplement my income. Thanks for an excellent share and writing such a detailed step-by-step guide. Transcription jobs can be very helpful for beginners who just want to work part-time from home and make some quick money. Bookmarked this page. Keep sharing. Thank you for sharing! I am 110% perfect for this job but before I start my investment I need to know….how difficult was it to do with a baby? I have a 4 month old and I’m not certain he will allow me to sit quietly in front of the computer for hours at a time. How did you manage the two?? Honestly, it wasn’t easy but I made it work. Typically, I worked during nap times and when he was asleep at nights. It meant I slept a lot less, buy it was worth it for me to stay at home and provide a living for us both. Believe it or not, you develop a rhythm and manage to get the work done when and where you can. Feel free to email me directly if you need a little help or guidance!